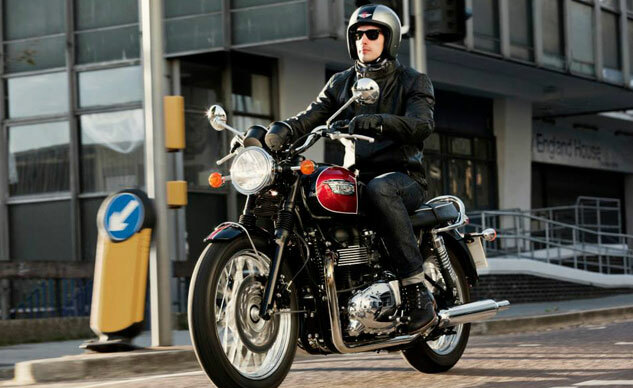 The 2014 Triumph Bonneville receives a new pillion grab rail and a new vinyl seat with improved filler material to improve rider comfort. 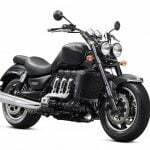 The engine barrel block and cylinder head feature new machined cooling fin details while the oil cooler lines have been blackened to further accentuate the 865cc parallel-Twin engine. Triumph says the megaphone silencers have also been revised for a “more satisfying sound”. 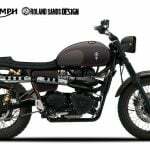 Beyond that, the Bonneville receives a new fuel tank decal and three color options: Phantom Black, Lunar Silver and Crystal White/Sapphire Blue. 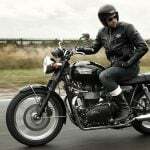 The Bonneville T100 also gets the revised exhaust and grab rail, though the T100’s handle is chrome instead of black for the regular Bonneville. 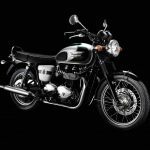 The gold and white version inspired by the 1964 Triumph Bonneville returns is joined by a new Jet Black/Cranberry Red option, but for a more sinister look, Triumph is introducing a new blacked-out model with black-finished rims, hubs, handlebars, springs, mudguard stays, mirrors and grab rail. The café racer-infuenced Thruxton gets the same engine trim details and exhaust changes as the Bonnevilles, but also gets a new chrome chain guard and a color-matched fly screen as standard equipment. 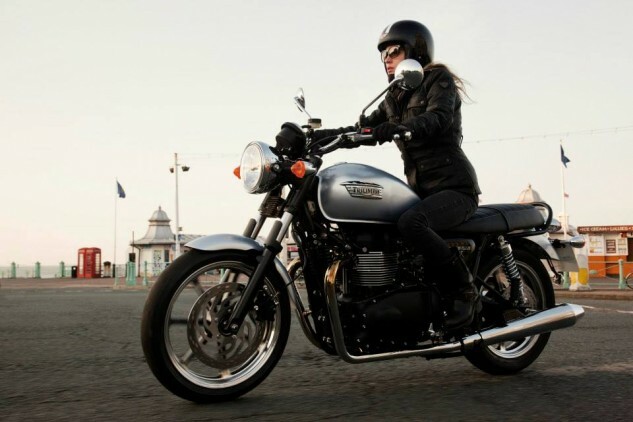 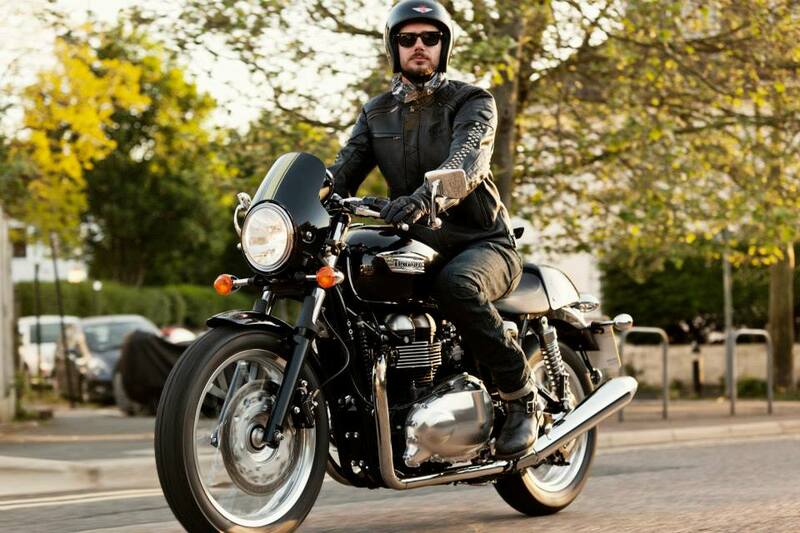 Triumph will produce the 2014 Thruxton in Phantom Black and Brooklands Green. 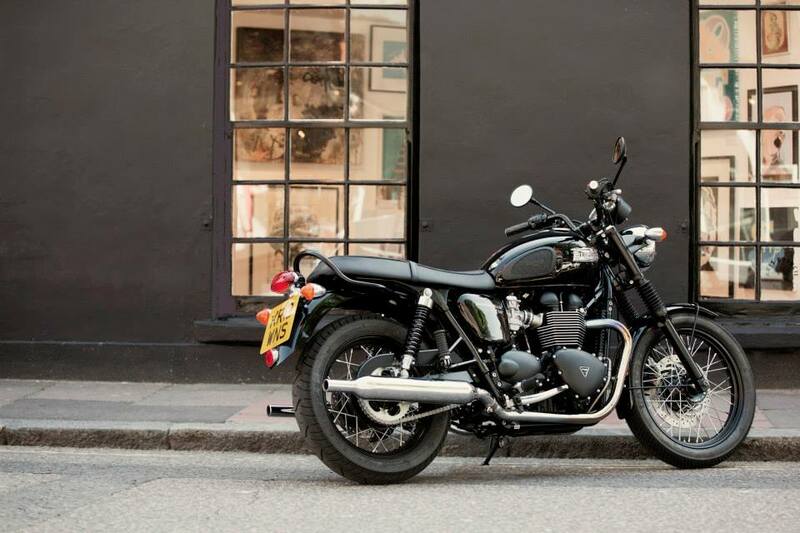 The 2014 Triumph Scrambler receives new blacked-out oil cooler lines, handlebars, wheels and rear master cylinder reservoir cover. 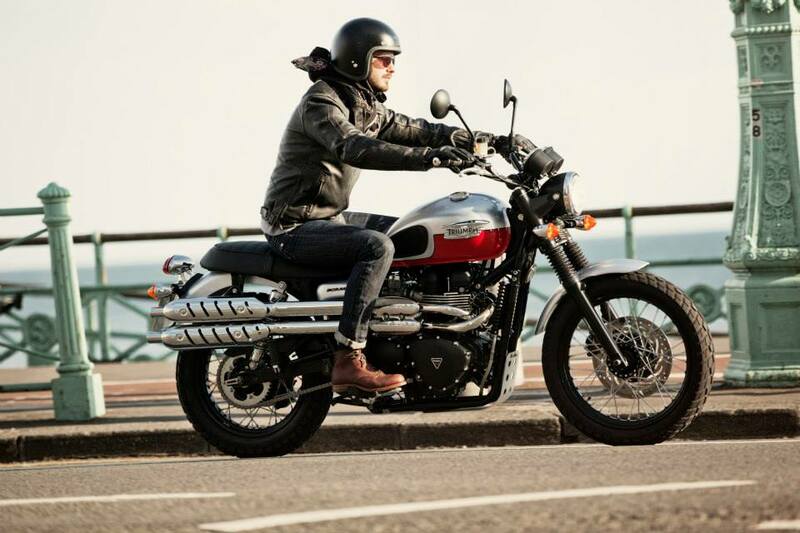 Other updates include a new seat with a revised Triumph logo at the back, and a clear anodized bash plate. 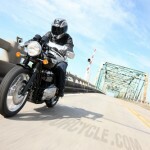 Two color options have been announced: Matt Pacific Blue and Lunar Silver/Diablo Red.